Broumand - Professor Behrooz Broumand, M.D.F.A.C.P. Home Avicenna Preis Preisträger im Jahr: 2007 Broumand - Professor Behrooz Broumand, M.D.F.A.C.P. 1964 - 1965 Rotating Internship, Tehran university Hospitals in Razi, Sina and Zanan university hospital. 1972 - 1974 Two (2) years Nephrology fellowship veteransو administration hospital Washington, DC Georgetown and George Washington University. 1974 Six (6) month fellowship in Renal Pathology Armed Forces Institute of Pathololgy, Washington, DC. 1974 - present Licensed to practice medicine , Washington D.C.
1974 – 1975 Assistant professor of Medicine, George Washington University School of Medicine, Washington, DC. 1976 – 1978 Chairman, Department of Internal Medicine Post Graduate Training Program, Ministry of health, Tehran, Iran . 1983 – 1986 Clinical professor of Internal Medicine and chief of n Nephrology service, Dr. Shariati,s Tehran Univ. Hosp. 2007 March 15 Letter to the editor of BMJ, on "Kidney demand in Iran, Clarification of some points, BMJ.2007(march15) ;334;502-5. 1999 A study of Membranoproliferative glomerulonephritis . Annals of Saudi Medicine 19(6): 505 - 510 Nov.1999. 1988 Textbook of Renal Pathophysiology, Behrooz Broumand ,Vol 1 and 2. 1987 Renal complication of Lithium Carbonate, Behrooz Broumand, Broumand Lecture notes . 1986 Non Diuretic use of diuretics, Behrooz Broumand The Journal of Iranian Pharmacist, Vol 27 , page 22 - 30. 1984 Renal transplant, Textbook, Co-author with Dr. S. M. Kadjbafzadeh. 1983 Dietary Management of patient with chronic renal failure, Behrooz Broumand , The Journal of Medicine and Treatment. 1982 Arterial Hypertension, Incidence in Iran and Its Management, Behrooz Broumand, The Journal of Iranian Medical Council, Vol 9. ( مجله سازمان نظام پزشكي ايران ). 1981 Acute Renal Failure, Behrooz Broumand, The Journal of Iranian Medical Council. 1978 Incidence of Renal Hydatic Cyst in Iran , Elist Behrooz Broumand, Journal of Tehran Medical School. 1977, July Kidney Transplantation, Behrooz Broumand (The Journal of National Blood Banking in Iran). 1977, Aug Conservative Management of Uremia, Behrooz Broumand, The Journal Iranian Medical Council , Vol 6, No.2,Aug. Effect of Isolation of dialysis Mashine in four dialysis unit in Tehran in prevention of new conversion of HCV positivity. Finding Genetic contributions to sporadic Disease: A Recessive Locus at 12q24 Commonly Contributes to Patent Ductus Arteriosus. A-Mani B.Broumand, R.P.Lifton et al : PNAS,2002;vol.99,no.23:15054 - 15059 in cooperation with Howard Hughes Medical Institute and Yale university School of medicine. Hereditary Kidney Disease in Iran . Dominance of Autosomal Recessive Inheritance of Alport’s Syndrome in Iran. (Poster) Australia, Congress of Nephrology , May 1997. Kidney transplantations in IgA Nephropathy , Who is an appropriate donor? Effect of donor gender on kidney graft function. How to evaluate CMV disease in renal transplantation. A.Hashemi . , Behrooz broumand . Lupus nephritis in a sibling donor of Kidney transplantation. Presence of CD30 ( K-1 ) Antibodies in Memberanous glomerulopathy a useful marker United state and Canadian academy of pathology. Sh Sabnis, B.Broumand , et , al . Familial Membranoproliferative , S.Sabnis, B.Broumand, AFIP . The result of Renal transplantation in 90 patients in Iran . Presented in the 10th Asian colloquium in Nephrology . A.Haririan. S. Sistani. B. Broumand. Karachi , Pakistan. Acute Renal Failure in earthquake victims in Iran epidemiology and management. M.R.Atef , I.Nadjafi, B.Broumand, and A . Rastegar From the department of Medicine , section of Nephrology , Shariati’s Hospital , Tehran , Iran, and the Department of Medicine section of Nephrology , Yale University School of Medicine , New Haven, Connecticut, USA Quarterly Journal of Medicine , 1994 Page 35 - 40 . Acute Renal Failure with Mercuial Chloride , B.Broumand , R. Ganji, Chappel Hill, USA . Membranous Lupus Nephritis in Iran M.H. Kiabi , B.Broumand, A.Haririan, Ibid, P .107. Renal Amyloidosis in Iran. S. Raeissi , A.Haririan , B.Broumand. Ibid, p.133. Outcome of treatment in Membranous Lupus Nephritis in Iran. Haririan M.D. , B.Broumand , et al , Current therapy in nephrology , Wichtig Editorial Milano . p 121 - 122. 9th Asian colloquium in Nephrology," Primary MPGN in Iran " , A follow –up study Seoul , Korea , Abs , p . 127. B.Broumand ,& A.Haririan. Eleventh International Congress of Nephrology, Poster: Presented in XIth . Features of MPGN in Iran . B.Broumand M.D. ;A.Haririan,M.D. Result of Steroid Therapy in 42 Patient with primary Membranous Glomerulonephritis, B.Broumand , M.R.Ganji, S.Raissi, A.Haririan. Comparison between Renal Pathology reports studied by light and microscopy done AFIP , Washington D.C., and Light microscopy done in Iran. T.Antonovych , M.D. B.Broumand ,M.D. F.A.C.P. Response of Membranous Glomerulonphritis to treatment with high dose Corticosteroid in Iran . Presented at Iranian Society of Nephrology Meeting, Tehran ,Iran . The high Incidence of Membranprolifeative Glomerulonephritis in Iran . 1st International Congress , The Middle East dialysis and Organ transplant Foundation , Istanbul , Turkey. Management of Arterial Hypertension accompanied by Renal Disease. First International Congress of Hypertension in Tehran,Iran. Angiographic Finding in periarteritis Nodosa, presented at the seventh (7th) Iranian Congress of Radiology , Tehran ,Iran. Incidence of Hypertension in general population in Tehran. Presented at Rezaieeh Medical School, Rezaieeh , Iran. Drug Induced Interestial Nephritis , News letter A.F.I.P. U.S.A.
1972 – 1975 12 Lectures in Renal physiology course at Washington hospital centers and three lecture in Glomerluonephritis at Wash. DC ped.H. 1985 Oct,09, Bone lesions in ESRD , CME on Metabolic bone diseases by Iranian Society of Internal medicine &Iranian Endocrine association. 1980,Aug - 1990 Teaching Clinical Nephrology , Renal Pathology and Pathophysiology , more than two hundreds (200) hours per year in different medical schools in Iran. 1990,Dec 7 Acute Renal Failure CME lecture sponsored by GLAXO, Ramada Inn, Beckley , West Virginia. 1991,March 7 Clinicopathological Conference , West Virginia University Hospital , Charleston West Virginia . 1991, July 18 Held a one (1) hour lecture on calcium channel blockers CME, supported by SANDOZ ., West Virginia ,USA . 1992 Sept.5 - 5 Glomerular disease in Brucellosis. Shahrkord Medical School Shahrkord , 1st Brucellosis conference in Iran. 1993 May Contribution of Razi in progression of science. The international congress for the advance of science and chnology in the Isalamic world. By Tehran University and Iran's Academy of Science. 1993 , July,29 The role of endothelial cell in arterial hypertension . 2nd annual conference of Iranian society of Nephrology , Hilton hotel , Tehran Iran. 1994 April,14 Renal transplantation and Pregnancy CME of Medical and Surgical disease Gilan University of Medical Sciences , Rasht , Iran. 1998 March,6 - 8 Adhesion Molecules,5th annual congress of Iranian Society of nephrology in co - operation with ISN. Azadi Hotel Tehran , Iran. 1999 Nov.24 - 26 Serological evaluation of Anti CMV Ab(IgG-IgM) in healthy donors and recipient of kidney transplantation. Forth congress of organ transplantation. Isfahan , Iran, organized by co-operation of Isfahan university of medical sciences, Iranian Society of Organ transplantation & Urology. 2000 March 4 - 6 Nitric Oxide and Kidney , 6th annual Iranian Society of nephrology dialysis &Transplantation congress, Azadi Hotel , Tehran , Iran. 2000 April 22 - 24 Adhesion Molecules .4th National congress of Zoonoses in Iran. Iranian Academy of higher education&Minisrty of Health. 2001 April28 - 30 Glomerular disease in Iran Dialysis and Transplantation symposium combined meeting of Iranian Society of Nephrology, Red Crescent. 2002 April20 - 23 Cytokine and the Kidney,7th annual Iranian Society of Nephrology congress with cooperation of ISN. Razi congress center Tehran. 2002May,15 Cytokines and kidney transplantation. 3rd congress of Iranian Society of organ transplantation. Razi Congress Hall, Tehran IRAN. 2002 June Acute renal failure , 14th annual congress of Iranian Society of Internal Medicine. Razi's Hall , Tehran, Iran . 2002 Oct.22 Economics of organ transplantation in MESOT Countries. In Masqat Oman,8th MESOT meeting . 2003 June 07 Progress of Nephrology in Iran , ISN, COMGAN World Nephrology conference , Berlin Germany. 2004 April15 - 16 Concluding remarks in renal disaster relief task force . Joint meeting of ISN, Iranian Society of Nephrology and Iranian association of Surgeons. On BAM Earthquake. 2004 Dec. Transplantation in Iran . 9th MESOT meeting in Ankara Turkey. 2004 Dec. Impact of Hepatitis C Virus infection on short-term outcomes in Renal Transplantation. 9th MESOT meeting in Ankara , Turkey. 2005June Clinical manifestation of acute cellular rejection of Transplant kidney. Annual meeting of Iranian Society of pathology, Imam Hall H Imam Khomeini hospital Tehran Iran. 2005 Sept. Management of Arterial hypertension. CME meeting Rasoul Akram University hospital , Iran University of Medical Sciences. 2006 Oct. Renal replacement therapy in Diabetic ESRD, Monthly meeting of Iranian Society of Nephrology , Hashemi-Nedjad Hospital ,Tehran. 2006 Nov.13 New approach to evaluate victim of renal disaster, lesson from Bam earthquake, Grand Rounds Harbor-UCLA , LA. CA , USA. 2007,Jan.14 - 26 Diabetes- Changing the fate of diabetics in dialysis unit. KEYNOTE Address at 9th International Conference on Dialysis. ADVANCES IN CKD 2007 , Hilton Hotel . Austin, Texas , USA. 1973 - 1975 Member Washington ,D.C., Medical Society . 1974 - present Fellow , American College of Physicians . 1975 - 1978 President of pharmaceutical committee , Beh Avar Hospital , Iran . 1975 - 1979 President Educational Committee , firoozgar Hospital ministry of Health , Iran. 1975 - 1979 Member of Medical Council , Beh Avar Hospital , Tehran , Iran . 1975 - present Member International Society of Nephrology. 1976 - 1979 Member of Purchasing Committee , Beh Avar Hospital , Tehran , Iran. 1976 - 1979 Director of Medical Education , Iranian Ministry of Health , post graduate program , Iran . 1976 - present Member , Iranian Society of Nephrology August1977 - 1985 President Iranian Society of Nephrology (4 terms). 1976 - 1986 Member of Internal Medicine Diseases committee Iranian Medical Council . 1977 - 2000 Member of Editorial board of Nephron Journal of Nephrology . 1978 - 1984 Consultant Member of editorial board of the Journal of Iranian Medical Council . 1979 - 1980 President , University of Medical Sciences of Iran , Tehran . 1979 - present Fellow of American College of Physicians . 1980 - 1986 Elected Member of board of directors , Iranian Medical Council , Iran . 1984 - 1988 Treasurer of board of directors of Iranian Society of Internal Medicine (2 terms) . 1987 - 1992 Member European Dialysis and transplant Association , Europe . 1990 - 1992 Member , West Virginia Medical Society . 1990 - 1992 Member , Raleigh County Medical Society . 1990 - 1992 Member , Fayette County Medical Society . 1990 - 2004 Member , National Kidney foundation . 1990 - present Member American Society of Nephrology . 1994 - present Member Iranian Society of Organ transplantation. 1998 - 2004 Board of director Iranian Society of Organ Tx. 2007 Re-elected as board member of Iranian Soc.Org.TX. 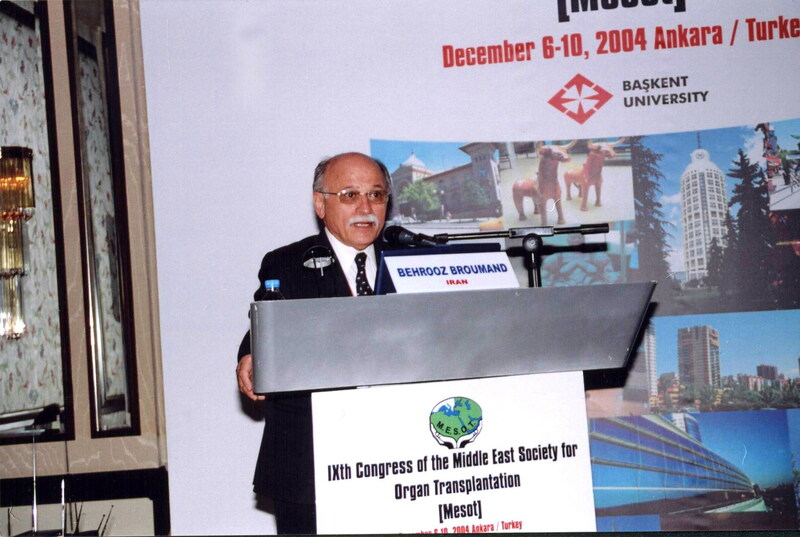 2002 - 2004 Vice president Middle East Society of organ transplantation. 2003 - 2005 Consultant affiliate to Academy of Medical Sciences of Iran. 2005 Introduced by International Society of Nephrology as candidate to be elected as council member of ISN from middle east. 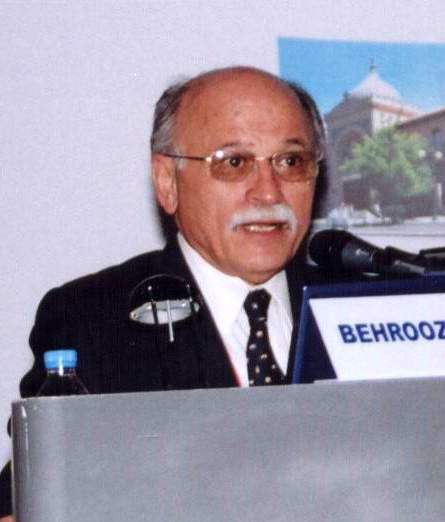 1999 - 2006 President Iranian Society of Nephrology(2 terms). 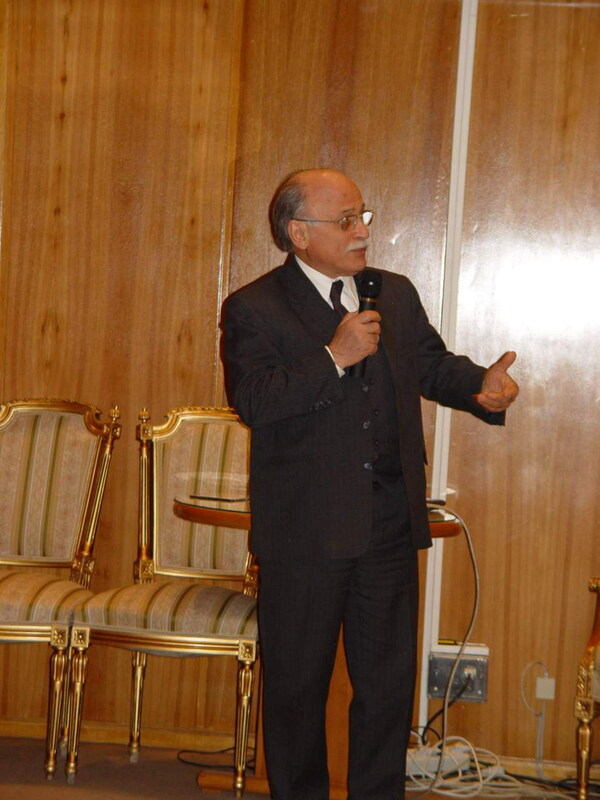 2006 - present Chairman educational committee of Iranian Association of Medical Societies. 2005 - present Associate member of Iranian Academy of Medical science of Iran. 1974 - 1975 Full - time Nephrologist , Renal Section , Department of Internal Medicine , Washington Hospital Center, Washington , D.C.
1975 - 1979 Chief of Nephrology and Dialysis center , Beh Avar Hospital , Tehran , Iran . 1976 - 1979 Chairman Department of Internal Medicine , Firoozgar Hospital , Iran. 1976 - 1988 Consultant Nephrologist to Bank Melli Hospital ,National Oil Company Hospital and Sholada Medical Center . 1976 Organized Ninth (9) Symposium of Kidney disease , Tehran , Iran . 1977 - 1979 Member and Inspector of National dialysis and Transplant Committee , Tehran , Iran . 1977 - 1979 Chief of Nephro - Urology department , Ministry of Health , Iran . 1977 - 1979 Organized nephrology Thursday Journal Club ,Beh - Avar Nephrology service, Tehran , Iran. 1978 Organized first International Congress of Hypertension , Tehran , Iran . 1978 Organized fifth (5) Annual cancer congress , Ahwaz , Iran . 1980 - 1981 President , University of Medical Sciences of Iran . 1983 - 1986 Chief of Renal Service Dr. Shariati’s University Hospital, Tehran University , Iran . 1985 Organized Intensive review course in Internal Medicine , Arranged by Iranian Society of Internal Medicine , Tehran , Iran , June 9 - 15. Nov.12 - 15 ,1990 Abdominal Ultrasonography , diagnostic Ultrasound division , Department of Radiology .Abdominal Ultrasonography , Thomas Jefferson University Hospital , Philadelphia , PA .
Nov. 16,1990 Prostate Ultrasound , Division of Diagnostic ultrasound , Department of Radiology , Thomas Jefferson University Hospital , Philadelphia ,PA.
8/20/90 - present Nephrologist ,Med - Surg Group 502 Main Street , Oak Hill , West Virginia 25901 . 1972 - 2006 Chair person of many scientific medical conferences. 2003 President of 8th annual Congress of Iranian Society of Nephrology..
2006 President 2nd bi - annual meeting of Iranian association of Internal Medicine and subspecialty meeting in Imam Hall, Tehran.